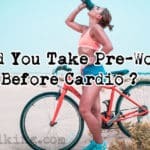 Which Highly Rated Pre-Workout Supplement Is Better? We Answer This Question In This Comparison Review Here! 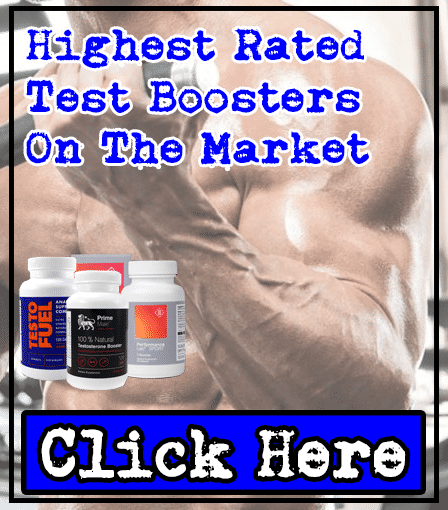 If you've been using supplements for a while, then you'll know that Cellucor's C4 series of pre-workouts are one of the highest rated products on the market. Many people swear by them, so it's no wonder that they're also some of the most popular - especially the original C4! 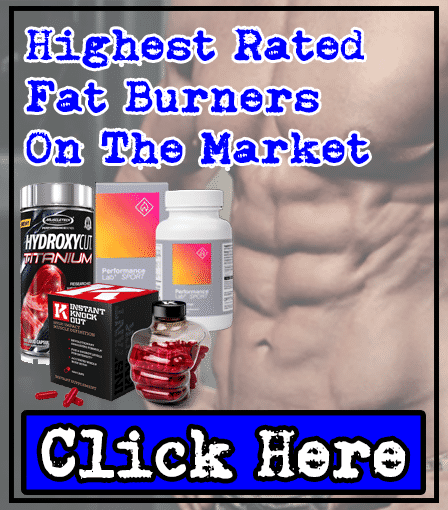 However, as of 2017, one pre-workout that's also taken the market by storm is 4 Gauge; this has become many respected websites' favorite pre-workout supplement, and one question we often get asked, is how it compares to C4. So after about the 100th time, we're here to answer this question in this 4 Gauge vs C4 Review! Gain Muscle or Lose Body Fat Faster - Reach your fitness goals quicker than before and spend more time looking your best. Clean, Stable Energy Boosts - Feel enough energy to help you perform better in the gym while staying safe from energy crashes. Intense Muscle Pumps! - Literally feel the blood rushing to your muscles after each rep and train for longer too! Smash Your Previous PB's - 4 Gauge helped take my gym training to the next level and improve my bench press. Stay Safe From Side Effects - No distractions from gym sessions by any unwanted jitters, crashes, or itchy skin. Just benefits! You can only buy from its official website www.4Gauge.com - you can't buy this in any retail stores, but we prefer online shopping anyway so this wasn't a problem for us. 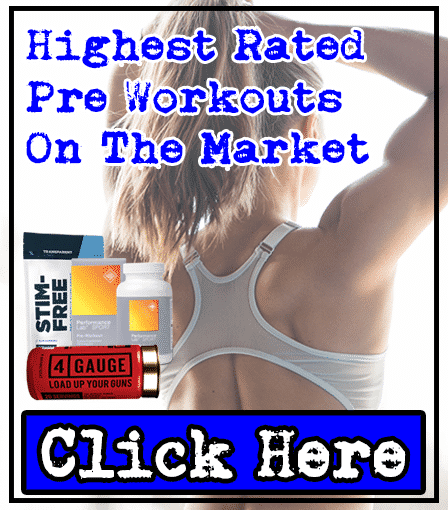 Premium Price - 4 Gauge is more expensive than less effective pre-workouts on the market. Only comes in 1 flavor choice - but it's Fruit Blast flavor makes 4 Gauge one of the best tasting pre-workouts we've tried. We first saw 4 Gauge being mentioned by websites and we were extremely impressed by how many positive reviews it had. So we had to try it for ourselves to make sure everyone wasn't bullsh*tting! 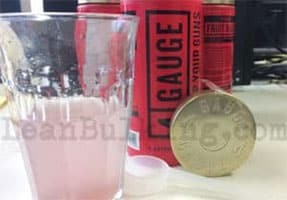 And we're glad that we did try it; 4 Gauge has quickly become our favorite pre-workout on the market, as it's a product we can safely take every day without feeling like sh*t or not being able to sleep. 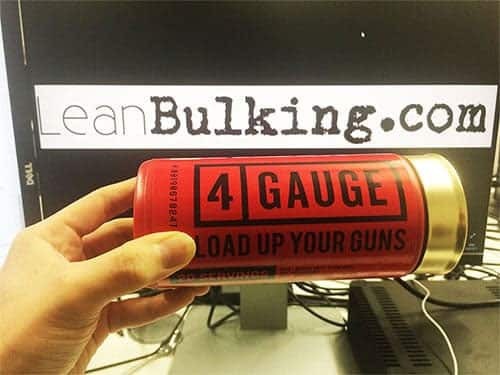 This is because 4 Gauge contains a sensible dosage of Caffeine, which provides enough of an energy boost so you want to smash your PB's on squat, bench press or deadlift without suffering from jitters or energy crashes! Ultimately, we trust 4 Gauge to help take our training session to the next level - regardless of whether our goal is to lose weight or gain muscle mass. For this reason, it's become a staple that we've kept ordering all-year-round. As we've already mentioned, there's no arguing about C4's popularity and reputation; it's cemented its place as one of the most popular pre-workouts on the market. But we have noticed that part of this reason is that C4 has been around for such a long time. The positives about C4 is that it comes in 8 different flavors, which all taste pretty damn good. But the downside is that it contains Beta-Alanine, which has become known for causing a side effect called paresthesia (itchy & tingly skin). 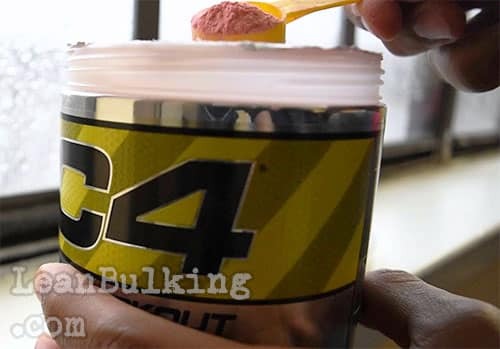 We've also read in bodybuilding forums that C4 has turned clumpy for some users. So you can decide whether this will be a problem for you or not (our advice is to keep your C4 in the fridge or with extra silica gel packets inside). 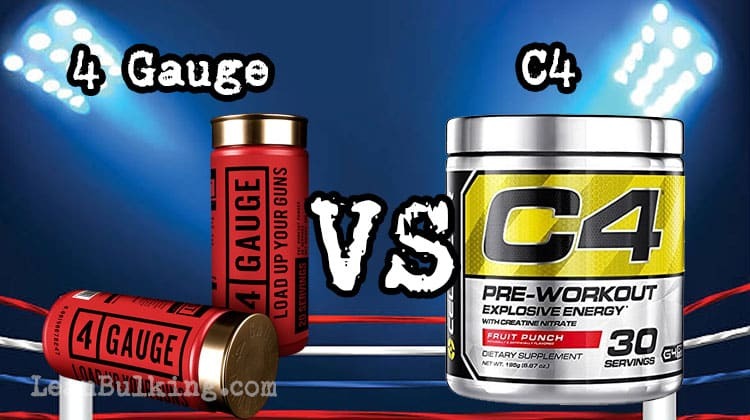 4 Gauge vs Cellucor C4: Which Is Better? Right, so let's get to the answer you've been waiting for; which pre-workout is better? Well, both 4 Gauge and C4 offer undeniable benefits to every user. They wouldn't be so highly rated and commonly sold otherwise. But for us personally, we believe that 4 Gauge gets the edge; we prefer it's innovative shotgun-shell packaging, which is more interesting than the cylinder containers that every other product comes in. It's not just the packaging though. 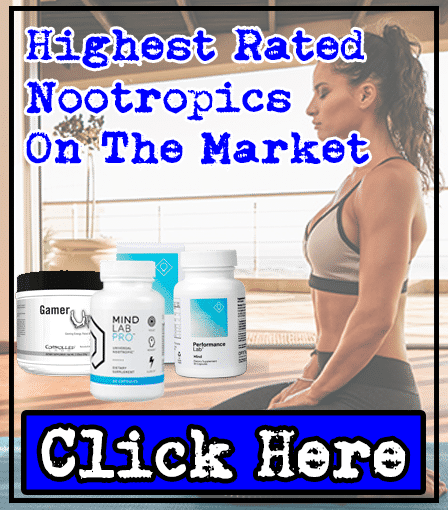 In our honest opinion, we believe that 4 Gauge would be less likely to cause us jittery side effects, as it only contains 1 stimulant in a sensible dosage. Now, we're not saying that Cellucor's C4 is going to cause every user jitters and energy crashes, as it depends on your tolerance to caffeine and stimulants. 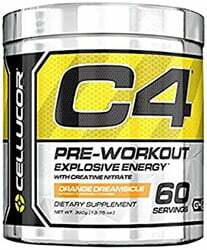 But one thing that seems to be a risk is feeling itchy & tingly due to the Beta-Alanine contained in Cellucor C4. It’s newer than C4, so it was able to make use of up-to-date scientific studies while being formulated; we’re especially pleased that 4 Gauge contains an optimal 6,00mg dosage of Citrulline Malate which ensures skin-splitting muscle pumps! For these reasons, we feel confident awarding 4 Gauge the victory in this battle of the pre-workout supplements. Is 4 Gauge available in India and if yes then please share the price as well in INR. I will be thankful to you for this. Hi Amrit, thanks for reaching out! 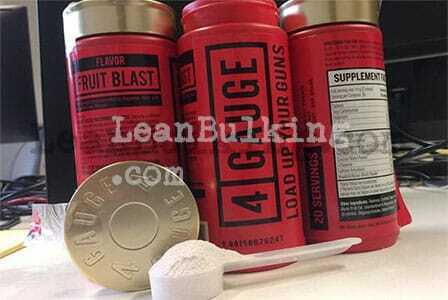 We checked whether 4 Gauge was available in India for you, and we can confirm that it is; you can buy it directly from their website (http://www.4gauge.com) and get this pre-workout shipped to India. We just checked on the 4 Gauge site, so you might find more answers on this page: https://www.4gauge.com/shipping-returns/ – if not, then ask their team as we are just a review site! But we did find that you can’t buy 4 Gauge in your currency. Instead, you’ll have to purchase it in US Dollars, Great British Pounds, or any other available currency, where your bank will convert it for you into your currency.